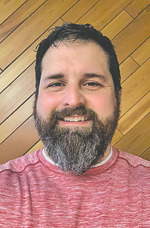 Incumbent Three Lakes Town Board Chairman Jeff Bruss defeated challenger Brian Slizewski 633-132 in the spring election last Tuesday. Bruss, 46, is a fourth-generation resident of Three Lakes. Prior to being elected town chairman following a write-in campaign in 2017, Bruss was a town board supervisor. Bruss said he is ready to lead Three Lakes during his next two-year term. Bruss was a town board supervisor from 2009-’12, and then surprised former Three Lakes Town Board Chairwoman Stella Westfall when he defeated her 371-254 following a write-in effort in 2017. A 1990 graduate of Three Lakes High School, Bruss is president at Cole Publishing in Three Lakes and is a veteran of the U.S. Navy. He has lived in Three Lakes all of his life with the exception of his military service from 1990-’97. He received a bachelor of science in business administration focusing on management information systems from UW-Oshkosh in 1997.